A spacious locals' pub with some great beers: Huh, Sidepocket, Black Sheep, friendly service, a dozy pooch and an old fashioned bagatelle board. Superior to anywhere else we went in Witney and located a little away from the market square although still on the S1 bus route to and from Oxford. 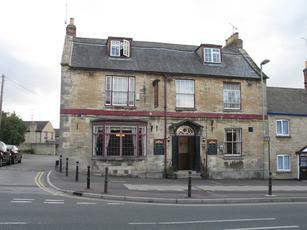 My first visit to this pub - it is I think the last one in Corn Street as you head out of town but don't give up - it is worth the walk. Good selection of real ales including a new one to me "The Hoard" from Backyard Brewery plus Black Sheep;Side Pocket for a Toad; Landlord and the ubiquitous Doom Bar! But a good little local boozer with friendly staff and chatty locals. Single bar with seating areas and a dart board plus outside seating for drinkers and smokers. I think it keeps "normal" hours during the week but opens all day at weekends. Well worth a visit - start her and then visit the others as you walk back into the town centre. I had never been to this pub before but was welcomed by the landlord and locals as soon as I went to the bar. The beer range was excellent with Adnams Southwold, Side pocket for a toad, black sheep, Oxford gold and another one that I hadn't seen before called Fagin's bitter or Fagin's Ale, plus a couple more I can't remember. A big open fireplace, a pub dog and the promise of showing all of the six nations rugby make this a pub I will return to on a regular basis. Not a particularly welcoming place. We were told to clear off and come back later so we didn't. As we didn't go back later I can't comment on the beer.